Vox goes map-crazy, collection cartographic evidence of everything from our declining agricultural work force to our regionalized linguistic tics. Since launching earlier this year, Ezra Klein’s Vox has never been shy about its obsession with Big Data. If he and his cronies can make their point with a chart or an graph, they will. As fans of a good infographic ourselves, we’re enjoying Vox’s compilation of “40 maps that explain food in America.” They run the gamut from serious (a look at food-stamp participation across the country) to whimsical (a cool buy heavily biased breakdown of regional BBQ styles), painting a broad portrait of how we grow, eat, and talk about food in the U.S. Check out some of our favorites below, then head over to Vox for the rest. 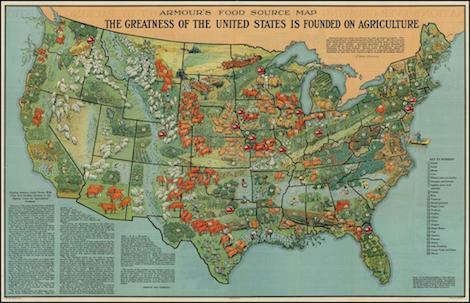 What Did American Agriculture Look Like in 1922? 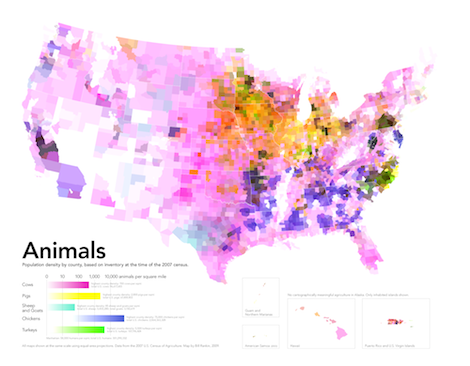 Where Does America Raise Its Livestock Now? 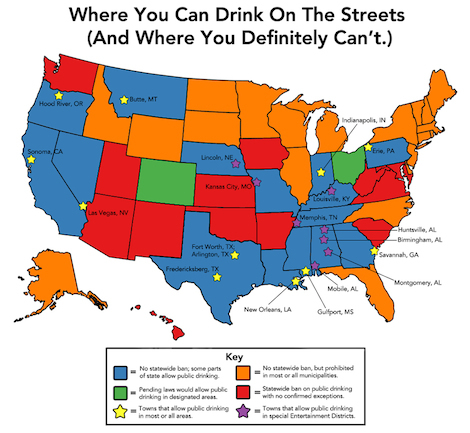 Where Can You Drink on the Streets? 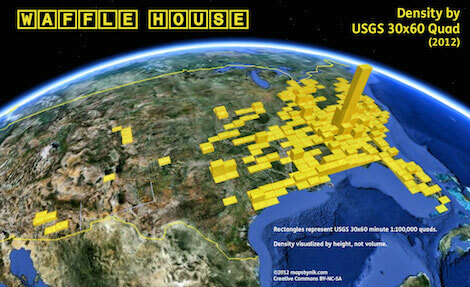 Where Are the Waffle Houses? 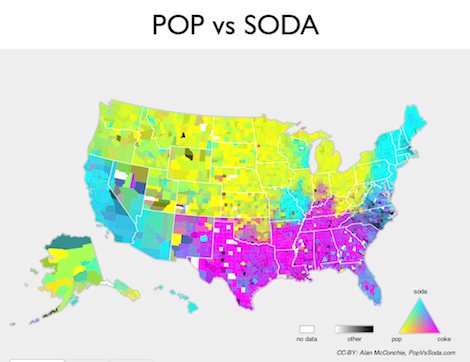 Where Do People Say Pop Versus Soda?